Commercial building previously used as an office and church; zoned B1. Located 10 minutes from uptown. 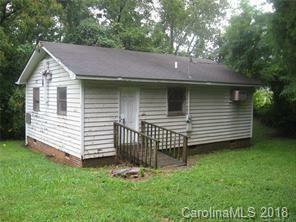 Property needs renovating; seller is not making any repairs. Property being sold AS-IS. Seller is a licensed real estate broker. Offered by Sharon Hines Llc. Copyright 2019 Carolina Multiple Listing Services. All rights reserved.